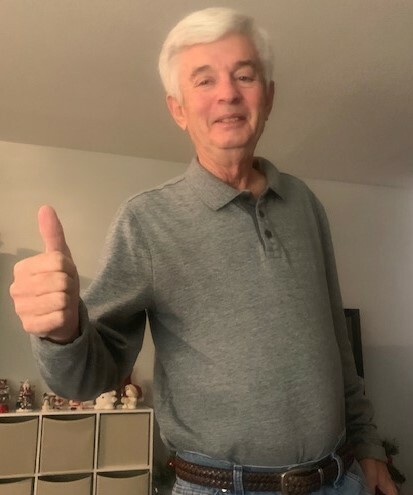 Danny Arthur Thomas (also known as “Peanut”), age 67, of Sanford, NC, died Tuesday, April 9, 2019 at First Health Moore Regional Hospital. He was born in Lee County on November 5, 1951 to Sarah Rogers Thomas and the late Ernest Lee Thomas. Danny was part owner and operator of Thomas and Sons Butcher Shop for 22 years. He also worked for many years at Frontier Spinning Mills. In addition to his Mother, he is survived his wife, Rose Currin Thomas; son, Lee Davis Thomas and wife, Amanda Jo of Sanford; daughter, Dannielle Thomas Callahan and husband, Brian of Winnabow, NC; three brothers, Mike Thomas and wife, Margaret of Sanford, Tim Thomas and wife, Kathy of Sanford and Jay Thomas of Sanford; three sisters, Patsy Marion of Cameron, Darlene Perry and husband, Don of Sanford and Linda Womble and husband, Bill of Pinehurst; three precious grandchildren, Jaleigh-Marie Currin Callahan, Cody Walker Callahan and Thomas Wesley Callahan. Papa Peanut was excited and eager to meet his fourth grandchild, Maximus Danny-Lee Thomas due in June, 2019. The family will receive friends on Thursday, April 11, 2019 from 6:00 PM to 8:00 PM at Bridges-Cameron Funeral Home. The memorial service will be Sunday, April 14, 2019 at 3:00 PM at Edgewood Presbyterian Church with Dr. Bill Hayes officiating.